The products and equipment used during our facial treatments are carefully chosen to address the clients skin type and condition. All facial treatments include steam and warm towels. An express facial perfect for those on the go. Includes a Deep Cleanse, Ozone Treatment, Enzyme Exfoliation, Hand and Arm Massage, Treatment Mask, and finished off with a Moisturizer and Mineral SPF. A custom facial perfect for those who want a little extra relaxation. Includes a Deep Cleanse, Ozone Treatment, Enzyme Exfoliation, Hand and Arm Massage, Neck and Shoulder Massage, Antioxidant Treatment, Facial Massage, Treatment Mask, and finished off with a Moisturizer and Mineral SPF. A custom facial perfect for those who want a deep pore cleanse. Includes a Deep Cleanse, Ozone Treatment, Enzyme Exfoliation, Advanced Ultrasonic Exfoliation Treatment, Extractions, Neck and Shoulder Massage, Antioxidant Treatment, Facial Massage, Treatment Mask, and finished off with a Moisturizer and Mineral SPF. A custom Resurfacing facial treatment that helps speed cell turnover leaving your skin hydrated, and glowing. Includes a Deep Cleanse, Ozone Treatment, Enzyme Mask, Suction free Microdermabrasion Treatment, Extractions, Neck and Shoulder Massage, Antioxidant Treatment, Facial Massage, Treatment Mask, and finished off with a Moisturizer and Mineral SPF. A Teen Express Facial gives quick, effective support with a thorough deep-pore cleanse for potent skin maintenance. Includes a Deep Cleanse, Ozone Treatment, Enzyme Exfoliant, High Frequency Treatment, soothing and healing Treatment Mask, and finished off with a Moisturizer and Mineral SPF. The Gentleman's Express Facial is a gentle yet corrective professional treatment. Includes a Deep Cleanse, Enzyme Exfoliant, Facial Massage, Treatment Serums, and finished off with a Moisturizer and Mineral SPF. This treatment will smooth, soften, hydrate, heal, balance, tone and refine the skin. 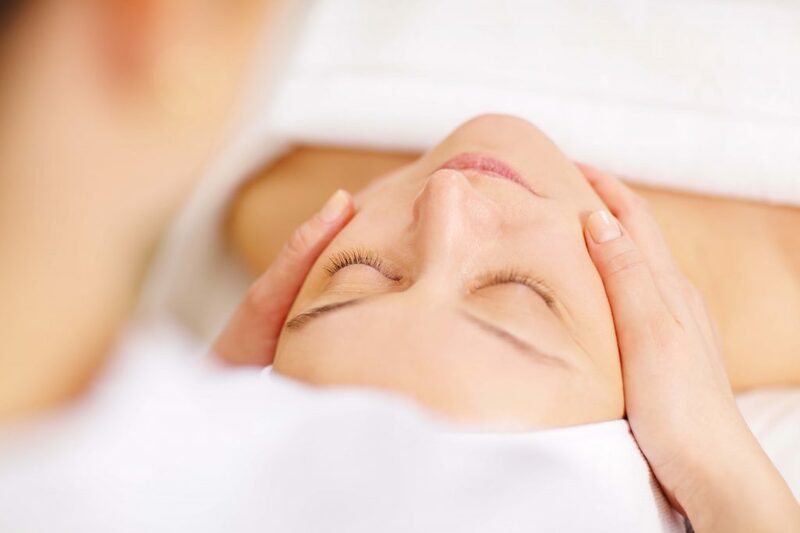 The Mommy-To-Be Facial offers a safe, relaxing indulgence that will replenish the skin to reveal a youthful, glowing complexion that will keep mommy-to-be sparkling. Includes a Deep Cleanse and Scrub, Exfoliation Treatment, Antioxidant Treatment, Facial Massage, Neck and Shoulder Massage, Cooling Milk Mask Treatment, and finished off with a Moisturizer and SPF. A custom Chemical Peel treatment that helps correct discoloration, texture, and fine lines and wrinkles. Includes a Deep Cleanse and Custom Chemical Peel Treatment carefully chosen to address your skin concerns. Please note that multiple series of Chemical Peels may be needed to treat discoloration, texture or fine lines and wrinkles. A Chemical Peel can only be booked after receiving a minimum of 2 facials from ReneeJean Makeup & Skincare, this ensures we know your skin and skin conditions best so we can pick the absolute best peel for you. book your custom facial treatment here!